Supreme Court has said that linking the permanent account number with Aadhaar is mandatory for filing income tax returns. the top court has already decided the matter and upheld Section 139AA of the Income Tax Act. The court’s order came on an appeal filed by the Centre against a Delhi high court ruling allowing Shreya Sen and Jayshree Satpute to file income tax returns for assessment year 2018-19 (financial year 2017-18) without linking their Aadhaar and PAN. There were some other individuals too who had been given relief last year. “The aforesaid order was passed by the high court having regard to the fact that the matter was pending consideration in this court. Thereafter, this court has decided the matter and upheld the vires of Section 139AA of the Income Tax Act. 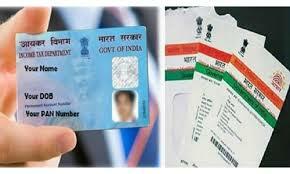 In view thereof, linkage of PAN with Aadhaar is mandatory,” the bench said. Sen and Satpute had filed their returns following the court order and the assessment has also been completed. The SC made it clear that for the current assessment year, returns have to be filed after linking PAN and the unique ID. The order flows from the September 26 verdict, which declared Aadhaar legally valid and allowed its use for getting subsidies as well as linking with PAN. While several taxpayers wanted to opt out of Aadhaar and did not want to link their PAN, the government has maintained that it is critical to ensure that individuals don’t evade taxes with multiple PANs. A majority of PANs have already been linked to Aadhaar, government sources said. Techiyogiz is one of start-up Online website of aspiring Engineers who are yet to finish their Graduation.Technology Happenings along with How To and Tips and Tricks of various Technology related matters.